What does "vintage" mean to you? Is it a style? Or is it just something that you've had for a long time? Is it something old? Something new that looks like it's been around for years? When I think of the word "vintage" the first thing that comes to my mind is cars! I love those old cars!!! When my hubby and I go to car shows he usually likes the muscle cars from the 60's and 70's. But my heart goes to those earlier cars.....20's, 30's, 40's. There is just something about them that I think is so cool! The new challenge at Digistamps4Joy is Vintage. I knew as soon as I saw the theme - I wanted to use one of the newer images called "Dad's Austin". I also knew that I didn't want to color it because I loved it just the way it was....sometimes when something is so perfect you just have to leave it alone and let it speak for itself. I decided to go black & white with this card too...and of course turn it into a Birthday card because it seems like I never have enough Birthday cards. I want to see what you think of when you hear the word "vintage" so come on over to Digistamps4Joy and share with us. Remember that you can't win if you don't play! Thanks for stopping by today. God bless you!!!!! Zella, this is beautiful! Very nice masculine card! wow Zella, I love this! Awesome card. Wow, fabulous B&W card...perfect image, great masculine card. Love your use of buttons! Thanks for joining us at Open-Minded Crafting Fun! Super masculine creation. Lovely design and I love the monochrome color scheme. A great card . Love the background and the vintage car is wonderful. Great male card. Thank you for joining in with our transport theme at Craft Room Challenge this fortnight. Fantastic card, Zella! I love that car image! It's perfect left in black and white! Thanks for playing along with us at Pile it On this week as we're creating "cards for guys". Good Luck! What a great masculine card! Your rift coloring it would have taken away from the charm! Thanks for playing asking with us at Crafts Galore Encore! Fabulous masculine and vintage card. Thanks for sharing at OMCF. What a fabulous masculine card, love the image and the sketch. Thanks for playing along with us at The Cheerful Stamp Pad for the Modes of Transportation challenge. Zella, I love this card. It screams vintage to me. Thanks so much for sharing with us at Open Minded Crafting Fun. This is gorgeous!! LOVE how you've used the image.. kept it line drawn. The black and white is fantastic!! !Thanks so much for playing along with us at Open-Minded Crafting Fun Challenges!!! Good Luck! I hope we see you again!! Great card! Thanks so much for joining us at The Cheerful Stamp Pad. wow love the monochromatic look for this card! Great layout! Thank you for sharing your fabulous card with us at Craft-Room Challenge. This is a great card for a man. Love the car image. 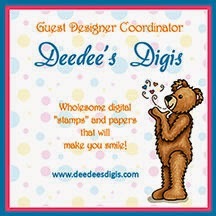 Thanks for sharing with the Design Team at The Cheerful Stamp Pad.